This story has been updated to take account of developments on Thursday 1 November. 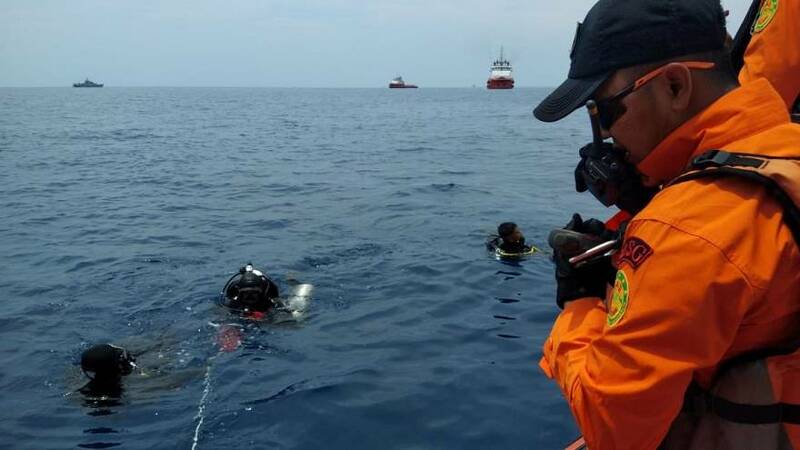 A black box from the Lion Air passenger plane that crashed in Indonesia on Monday has been recovered by divers. It should help determine why the jet fell from the sky. Search teams have been looking for the flight data recorder and the cockpit voice recorder since the nearly new plane crashed into the Java Sea 13 minutes after takeoff from Jakarta, killing all 189 people on board. The discovery on Thursday comes a day after Lion Air’s director and a handful of technicians were suspended by Indonesia’s transport minister in the wake of the crash. A team from Boeing, which said it was deeply saddened by the loss, was due to meet Lion Air officials on Wednesday. Reports say that the orange object has been identified as the flight data recorder. Authorities said it would be handed over to Indonesia's transportation safety committee. Its head, Soerjanto Jjahjono, said on Wednesday that it could take up to three weeks to download data and up to six months to analyse it. “We dug and got the black box", one diver said, adding that they had homed in on "ping" sounds emitted from the sea bed to retrieve the item from the mud. Transport safety and military officials said signals first detected on Tuesday got clearer, helping search teams move closer. Sonar ships and underwater drones have been used to look for the fuselage have detected an object some 20 metres long. Strong sea currents and energy pipelines have made the operation difficult. It's thought the fuselage is at a depth of over 30 metres and at a location only 400 metres northwest of where contact with the plane was lost. Many of the victims' bodies are believed to be trapped inside. The head of Indonesia's search and rescue agency has said a crane willbe used to lift the wreckage. During the week, small pieces of debris, personal items and human remains have been found and brought to the surface. Indonesia has ordered inspections of all planes of the model in question: a Boeing 737 MAX 8. Transport Minister Budi Karya Sumadi said on Thursday that Indonesia may review the lower limit of its airfares and consider increasing the rates set by low-cost carriers. President Joko Widodo has also ordered a review of all regulations relating to flight safety, authorities said. The transport ministry has suspended for 120 days Lion Air's maintenance and engineering director, fleet maintenance manager and the release engineer who gave the jet permission to fly on Monday. Information earlier in the week suggested that the airliner had flown erratically during an earlier flight the previous evening. The plane reported “unreliable airspeed” after taking off from Bali on its way to Jakarta on Sunday, a senior Indonesian transport safety official has said. 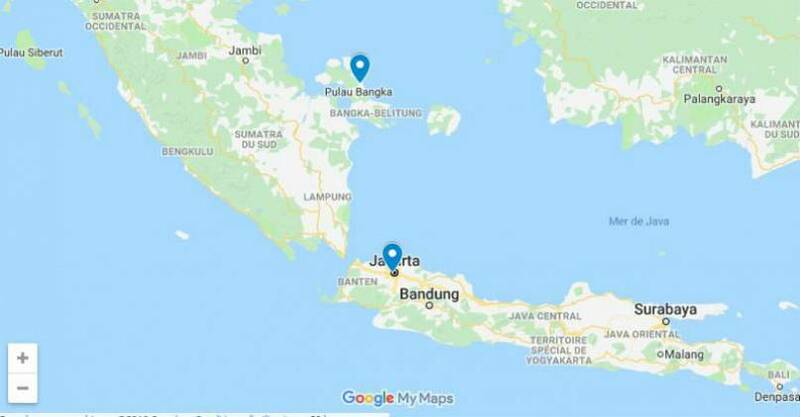 Lion Air flight JT610 from Jakarta to Pangkal Pinang plunged into the Java Sea the next morning. Data from flight tracking website Flightradar24 indicates that the Lion Air Boeing 737 MAX jet reported unusual variations in altitude and airspeed during the Sunday flight. Reuters reports that after taking off from Denpasar on Sunday, the jet lost altitude in the first few minutes – at a time when it should have been ascending – and went on to fly at a lower altitude than was normal. “There were technical issues, one of them was indeed unreliable airspeed,” national transportation safety committee deputy chief Haryo Satmiko said on Tuesday. Sirait says he has passed the relevant flight and maintenance logs to Indonesia’s National Transportation Safety Committee. 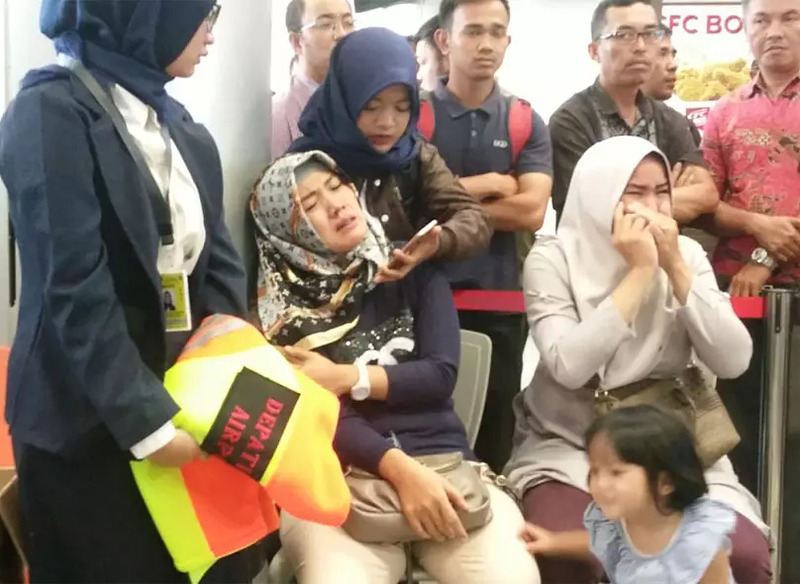 The airline's Chief Executive Edward Sirait said on Monday that the plane had experienced a technical problem on its previous flight from Bali, but that this had been "resolved according to procedure". He did not specify the nature of the issue, but said none of Lion Air’s other aircraft of this model had the same problem and there were no plans to ground them. The aircraft was a Boeing 737 MAX 8, the first of which came into service in 2017. It had been operated by the Lion Air Group since August, and the airline said it was airworthy. Lion Air flight JT610 was on its way from Jakarta to Pangkal Pinang on Bangka island. The flight to Pangkal Pinang – the main city of the island of Bangka, a few hundred kilometres north of Java and a major tin-mining region – was a standard commuter flight. On board were 181 passengers and eight crew members. Most were adults but the passengers were said to include one child and two infants. At least 23 government officials were reportedly aboard. Data suggests the Boeing jet climbed to a height of around 1,500 metres, before vanishing from radar some 13 minutes after take-off. Air navigation authorities say the plane had requested to return to base before losing contact. According to the search and rescue agency, no distress signal was given. Data from Flightradar 24 suggests that over the course of its short flight, the plane first lost and then regained height, before plunging into the sea some 15 kilometres north of the coastline. The aircraft is believed to have sunk in waters 30 to 40 metres deep. Under international rules, the US National Transport Safety Board will automatically assist with the inquiry, backed up by technical advisers from Boeing and US-French engine maker CFM International, co-owned by General Electric and Safran. Weather conditions in the area have been described as more or less normal at the time of the crash. The safety records of both Lion Air and Indonesia generally have been patchy in the past, but improving more recently. Lion Air is a privately owned airline dating from 1999, and is one of Asia’s big budget airliners. It had one fatal accident in 2004, when a plane crashed and broke up on landing at Solo City, killing 25 of the 163 people on board. Lion Air jets have been involved in a series of safety incidents, including a flight that crashed into the sea upon landing at Bali in 2013, when everyone survived. Lion Air was removed from the European Union’s air safety blacklist in June 2016. Indonesian airlines had been banned from flying to Europe in 2007 over safety concerns. This year Lion Air was one of three airlines from the country whose safety record was upgraded to the highest level, as the country passed an international audit. Indonesia is one of the world’s fastest-growing aviation markets – and with 17,000 islands spread over an area stretching for thousands of kilometres, air travel is a fact of life. In December 2014 an AirAsia Airbus jet crashed in bad weather into the Java Sea, killing all 155 passengers and crew. The country’s worst air disaster happened in 1997, when 214 people were killed in a Garuda Indonesia A300 crash in Medan.